Yay! It’s coffee o’clock...or is it? 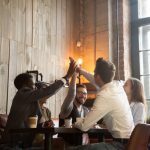 When is the best time for coffee at work? Yay! It’s coffee o’clock … or is it? Real coffee enthusiasts are usually of the view that there is never a wrong time to enjoy a cup of their favourite beverage or two. However, a new study shows that there is a right time of day to get the most benefit from your daily caffeine fix. 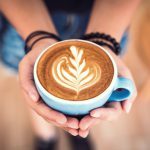 The United States Army has developed a computer algorithm that uses data from sleep patterns to make recommendations about coffee intake through the day so that the maximum amount of alertness can be achieved. The algorithm is so effective it can help an individual improve alertness by up to 64% without consuming any more caffeine than usual. The researchers came to this conclusion by feeding their algorithm into a pre-existing computer model predicting how sleep deprivation, daily schedule and caffeine impact alertness at different times of the day. The system can figure out safe, individualized caffeine-dosing solutions that result in a level of alertness that makes people more productive. Plus, the algorithm will be offered online within an existing online tool, 2B-Alert, to help users determine the best time to drink their coffee and will be of interest to many people, not least, shift workers, healthcare staff, sportsmen and students taking exams. There is also the possibility of a coffee app being developed at a future date. Kaldi noticed the effect caffeine had on his goats who appeared to ‘dance’ after eating coffee berries. A local monk then made a drink using the coffee berries and found it kept him awake at night. Eureka! The first cup of coffee was born. 2 There are two types of coffee beans: Arabica and Robusta. Seventy percent of the coffee we consume is made from Arabica coffee beans. Robusta is popular in authentic Italian style coffee blends and has twice as much caffeine. Coffee berries were mixed with fat to create a snack ball and also consumed as a wine made using the pulp from crushed coffee berries. However, a lethal dose of caffeine would require over 100 cups of coffee to be consumed. That is the chemist, George Constant Washington, who created Red E Coffee — the first branded instant coffee. Previous In praise of a cup of Joe! Next Why is coffee called a cup of Joe?